Pipe Flow Expert is designed to help todays engineers analyze and solve a wide range of problems where the flow and pressure loss throughout a pipe network must be determined. 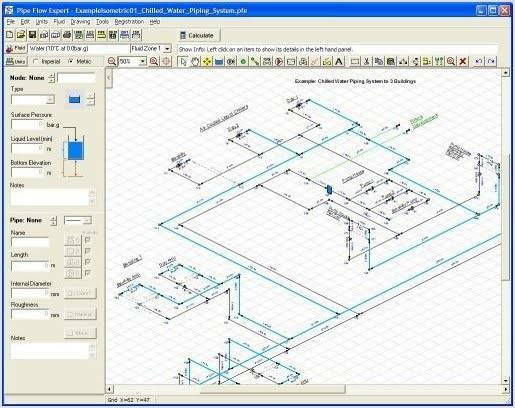 The Pipe Flow Expert program will allow you to draw a complex pipeline system and analyze the features of the system when flow is occuring. Pipe Flow Expert calculates the balanced steady-state flow and pressure conditions of the system. It will allow you to perform analysis of different pipe system designs under various operating conditions. 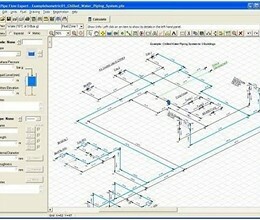 * Pipe Flow Expert download link provides trial version of the software. Pipe Flow Expert has been rated 4.5 out of 5 points. A total of 2 votes cast and 0 users reviewed the software.